Expensive, exhausting bathroom remodeling projects have met their match. At ProSource® of Colorado Springs, we invite trade professionals, independent contractors, and commercial customers, along with their individual homeowner clients, to view wholesale bath remodeling projects in a new light. 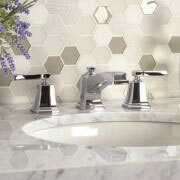 Choosing the right sink brand, style, and finish is easy at ProSource. 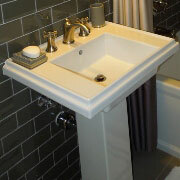 Whether you want to browse online, visit our showroom, or send your homeowner client, you’ll see the variety of sinks. These features are more than just a sink basin. These can be used to enhance the design and style, or it can be unique. The sink is incomplete without a faucet to help it function. Our experts can make sure you find the faucet that accurately matches the bathroom sink, and we can make sure it’s a style and brand that matches the client’s expectations. The shower is often one of the most fun parts of a bathroom remodel project because homeowners can truly transform a space. Here at ProSource, we help you find the right shower, tile, head, doors, and other accessories that bring the project together. Give your clients a place to truly pamper themselves with a new vanity. Not only does a vanity often house the sink and faucet, but it is an incredible storage space. 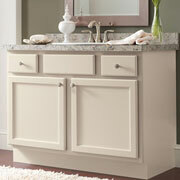 With styles featuring additional drawers and cabinets, vanities are both pieces of decoration and style. The bathtub can be a combo element with a shower remodel project, or it can be independent. 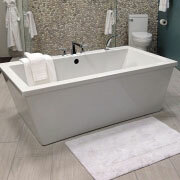 Our collection includes freestanding tubs (especially that coveted vintage clawfoot tub), corner tubs, jacuzzi tubs, and more. The throne is the often-underappreciated feature of a bathroom. Not only is it there when it’s time to do business, but it can be a champion for a more environmentally friendly project. 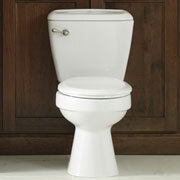 Browse based on flush rating or bowl size, color or material. Find the right toilet here.